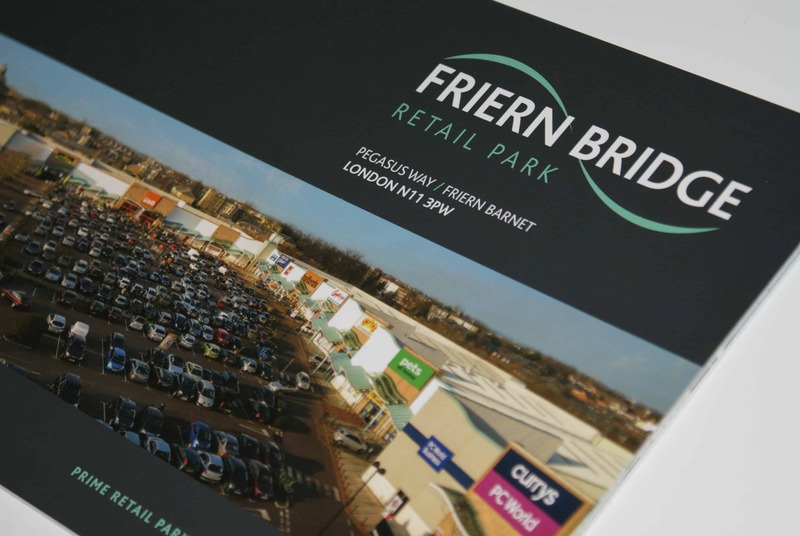 We were appointed by the Wilkinson Williams investment team to produce a bespoke printed and interactive pdf brochure for the sale of Friern Bridge Retail Park. In order to best showcase what the centre had to offer in its entirety our design team firstly produced a bespoke 16 page brochure showcasing both aerial and location photography, custom drawn sit maps and charts where designed and included detailed in-depth analysis of the site’s financial standings, including tenancy schedules. The portfolio was also built into an interactive brochure format allowing Wilkinson Williams to easily send information through to interested parties. Friern Barnet is located within the London Borough of Barnet, approximately 8.2 miles north of Central London, 5.6 miles north east of Brent Cross and 5.8 miles south west of Enfield. Friern Barnet benefits from excellent road links, being served by the A406 North Circular Road, which connects to Junction 1 of the M1, 5.7 miles to the south west. Junction 24 of the M25 is situated 6 miles borth.